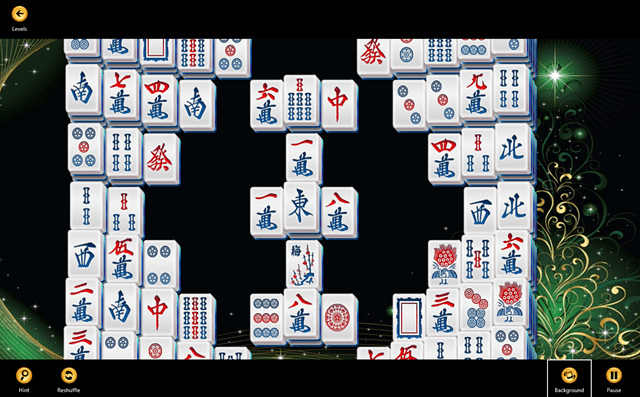 Mahjong Deluxe+ is a free Windows 8 Chinese solitaire game app which is quite a fun and breath-taking game. This is a kind of Chinese Solitaire where your job is to eliminate all the tiles from the given grid. This app for Windows 8 provides you with different themes and environment to play with and a soothing Chinese instrumental song which will calm you while playing. You will really love the background music as its my favorite in this Windows 8 game. 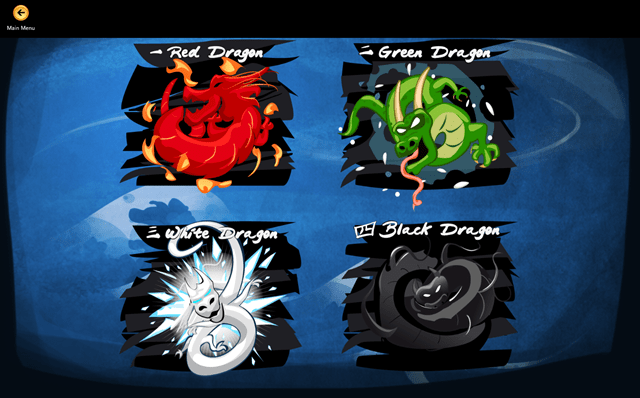 You will be provided with four different themes namely Red Dragon, green Dragon, White Dragon, and Black Dragon. The mind-boggling game for Windows 8 will take you to a new world and give you a real brain teaser while playing. The difficulty that I found here is that, the Chinese pattern on the tiles are really hard to understand because they all look the same. Above given are the themes you can select from any of the given worlds. You can have various levels to play in each world you are provided with. You can choose any of the present level and start playing. With all that, you can also change the background of the Windows 8 Chinese solitaire game. Here, you can see the interface of the Windows 8 app game, where you can play your move. You just have to eliminate all the tiles from the grid. And there are few rules, you can’t just click any tile you want to eliminate. You have to pick a tile which is above on the stack and on the same level of the adjoining stack. Then only you can select the appropriate tile and can eliminate with the other same type tile that matches the Chinese pattern. You can achieve a maximum score by eliminating all the tiles from the grid in a minimum time. So, just install the amazing Windows 8 Chinese solitaire game available under the “Games” category of Windows 8 and have fun playing with it.